Eating a Greek salad is such a delicious way to make sure you’re eating your daily recommended amount of vegetables. 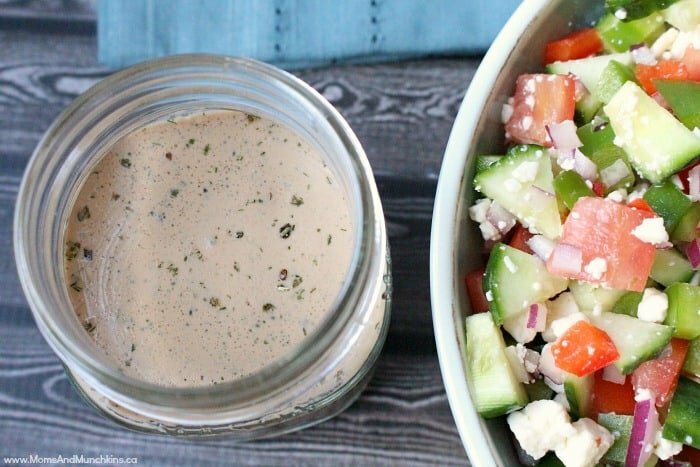 This Greek salad recipe is loaded with delicious vegetables and a creamy dressing that’s packed full of flavor. Don’t forget the delicious feta – everything is better when topped with feta! 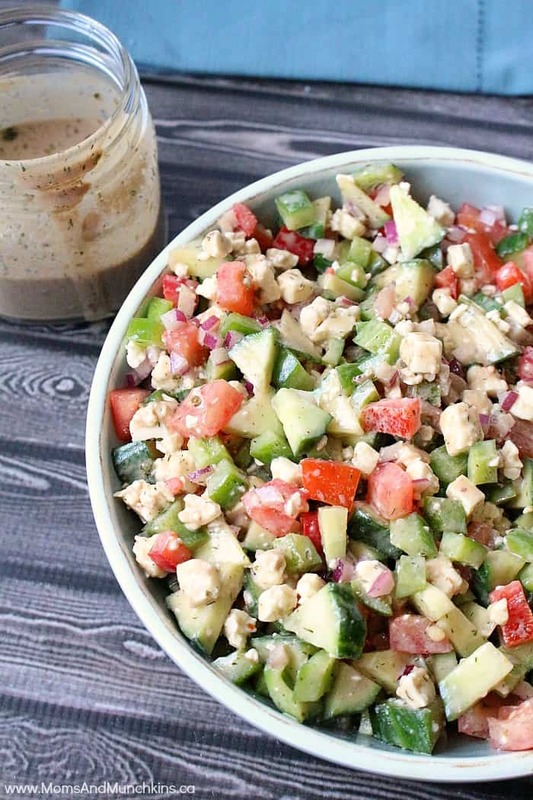 The dressing makes more than enough for four meal-sized salads. Not everyone likes as much dressing or feta on their salad as I do so I usually put the dressing and the feta on the side and let people top their own salads with as much as they’d like. A delicious way to reach your recommended daily intake of vegetables. Put all the vegetables into a large bowl. In a separate bowl, mix the olive oil, vinegar, garlic, oregano, dill and buttermilk and stir until well mixed. Pour over the vegetables and toss to coat evenly (you probably won't need all of the dressing, pour as much or as little over top as you'd like). Sprinkled feta cheese over the salad or put the feta cheese on the side and let everyone put as much feta on their own salad as they'd like. For even more delicious recipes, visit our Party Food & Family Meals page. We’re always adding new recipes! Never miss a delicious update by following us on Facebook, Twitter, Pinterest, with sneak peeks on Instagram.